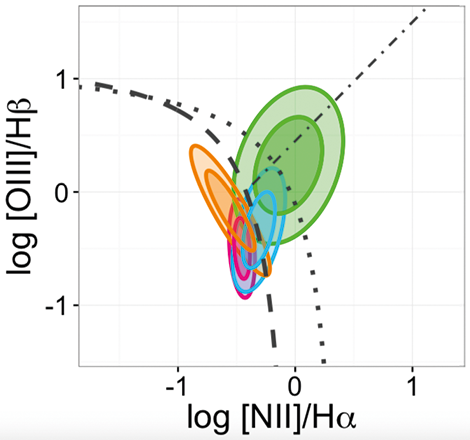 We developed a hierarchical Bayesian model (HBM) to investigate how the presence of Seyfert activity relates to their environment, herein represented by the galaxy cluster mass, M200, and the normalized cluster-centric distance, r/r200. We achieved this by constructing an unbiased sample of galaxies from the Sloan Digital Sky Survey, with morphological classifications provided by the Galaxy Zoo Project. 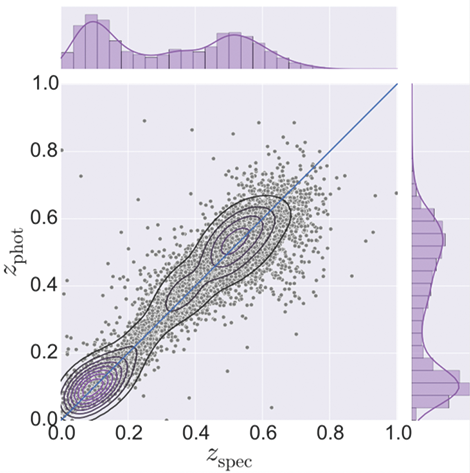 A propensity score matching approach is introduced to control for the effects of confounding variables: stellar mass, galaxy colour, and star formation rate. 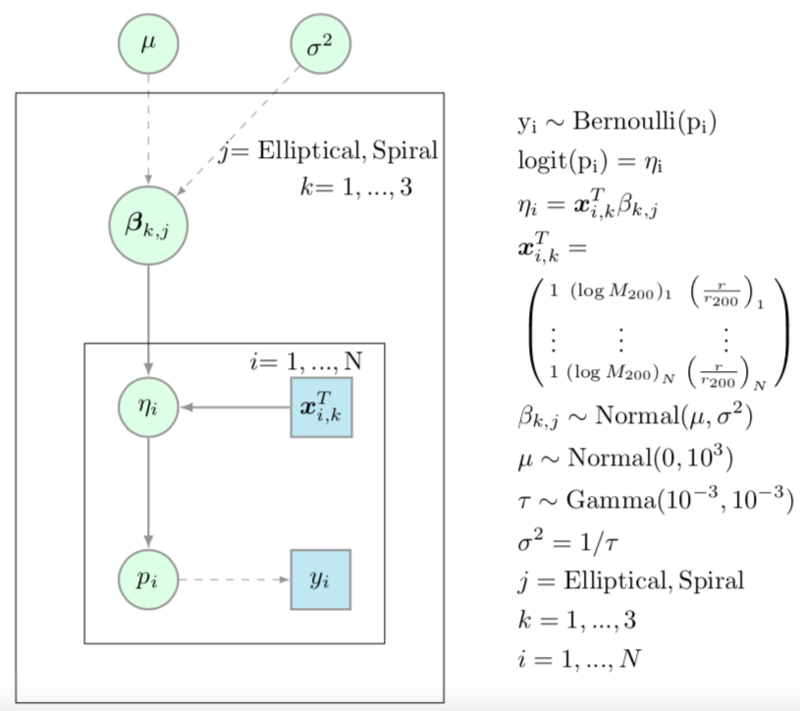 The connection between Seyfert-activity and environmental properties in the de-biased sample is modelled within an HBM framework using the so-called logistic regression technique, suitable for the analysis of binary data (e.g., whether or not a galaxy hosts an AGN). 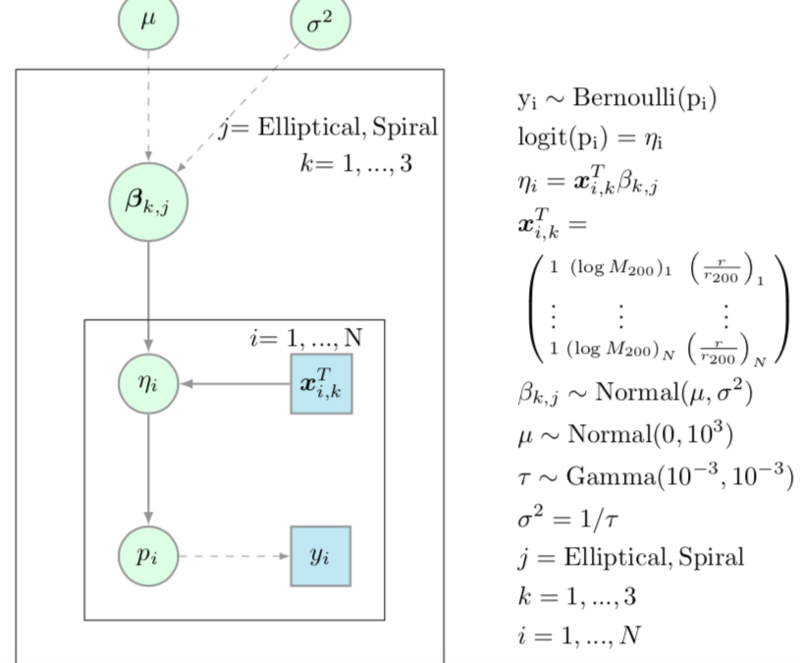 Unlike standard ordinary least square fitting methods, our methodology naturally allows modelling the probability of Seyfert-AGN activity in galaxies on their natural scale, i.e. as a binary variable. Furthermore, we demonstrate how an HBM can incorporate information of each particular galaxy morphological type in a unified framework. In elliptical galaxies, our analysis indicates a strong correlation of Seyfert-AGN activity with r/r200, and a weaker correlation with the mass of the host. In spiral galaxies these trends do not appear, suggesting that the link between Seyfert activity and the properties of spiral galaxies are independent of the environment. This project is a result from COIN Residence Program #2 – Isle of Wight, UK/2015. 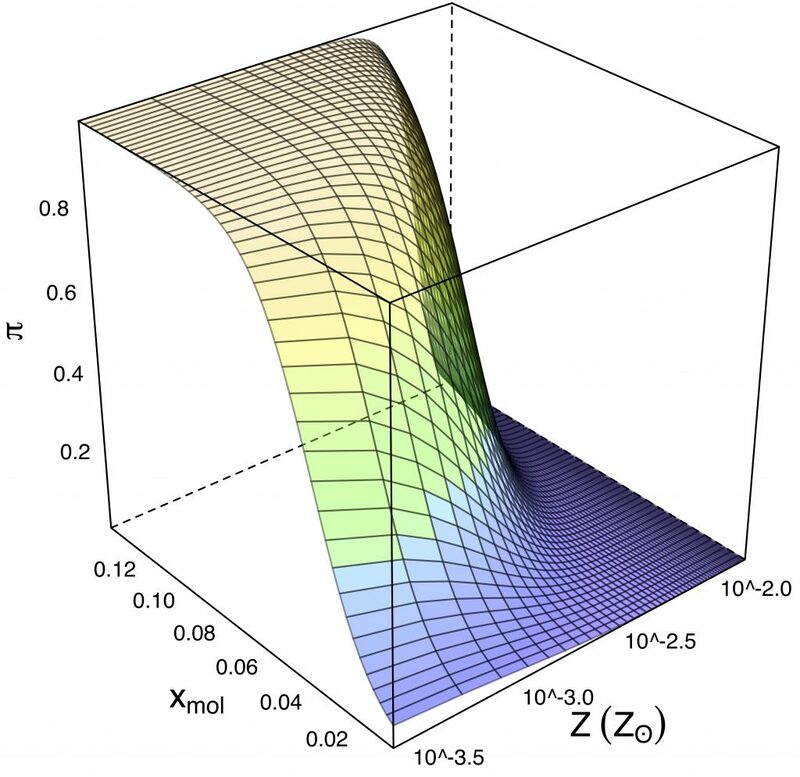 Illustration of the propensity score matching. 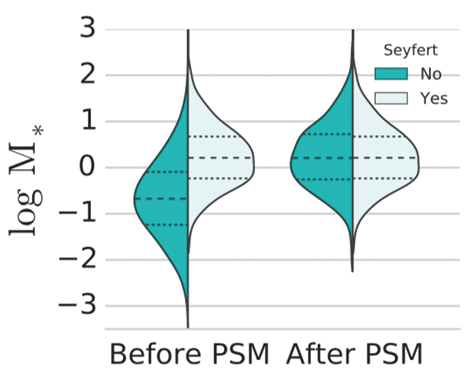 The right and left distributions represent respectively the samples with and without Seyfert AGN activity, portrayed by an asymmetric violin plot. 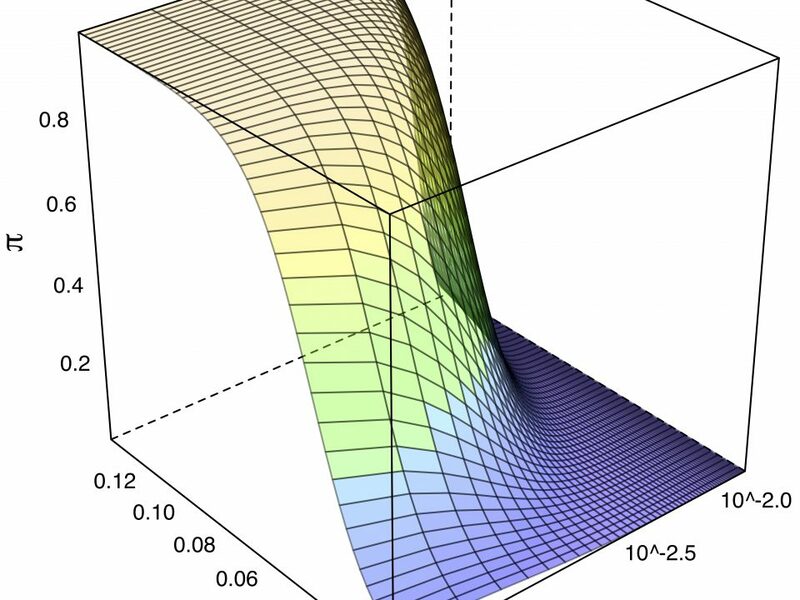 The dotted and solid lines in each violin represent the median and 95 per cent quantiles of the sample, while the shape, denotes its probability distribution.